An artist's impression of the SMG BMW dealership at Umhlanga Arch. 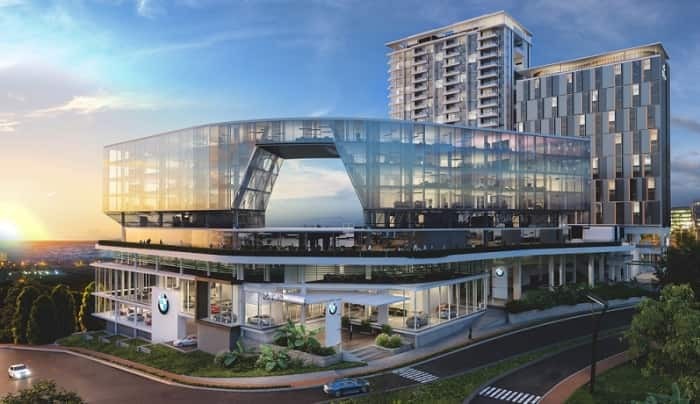 The developers of Umhlanga Arch have officially announced their new partnership with South African motor dealer group, SMG BMW. “It has always been our goal to provide our customers with the most incredible experience. 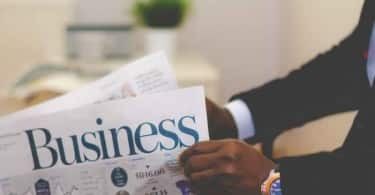 Whether a customer is purchasing a vehicle or requires after sales assistance, our ethos has always been to maintain a customer centric approach. The new SMG Umhlanga dealership, based at the Umhlanga Arch, will revolutionise the motor retail experience in the greater Durban area. The Umhlanga Arch development will offer our brand a space that will provide an unprecedented feeling of awe, aspiration and a design that will undoubtedly be trend setting. We are extremely excited about opening our new SMG Umhlanga dealership, and we are certain that the experience shared by our customers and the SMG team will be something very special,” says Sean McCarthy, Managing Director of SMG. The luxury BMWs will be displayed and featured in the new dealership which boosts double volume staircases. Umhlanga Arch is positioned on the slopes of Umhlanga Ridgeside and the R1.3 billion development is people-centred, characterised by the iconic sea-facing arch configuration. 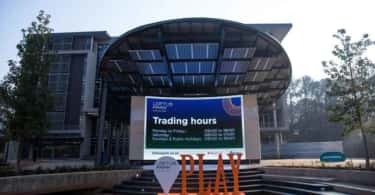 “The bar has been set high for retail offerings at Umhlanga Arch and SMG Umhlanga’s vision to create an experience unlike anything seen before in KZN’s motor industry meets our goals of designing an exceptional lifestyle and retail high street. We are thrilled to have concluded this partnership with SMG Umhlanga. We look forward to welcoming exclusive car shows and events, as well as be a part of this established brand as it reinvents itself, breaks the mould and designs a motor dealership of exceptional standards,” concludes Chris du Toit, Developer representative of Umhlanga Arch.